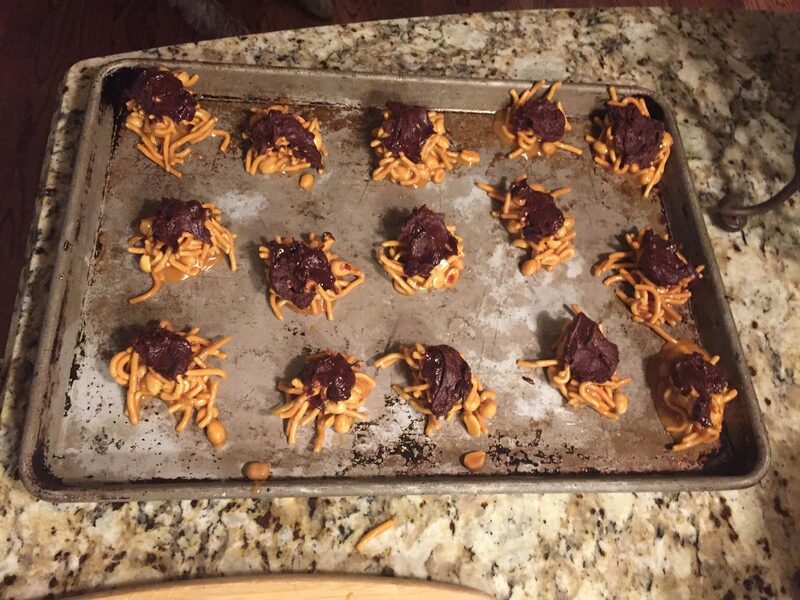 Depending on the size of our tailgate this week, I may make these sweets as well. I love fixing these little bites around Halloween – the combination of salty and sweet (and of course chocolate always helps) is fab. 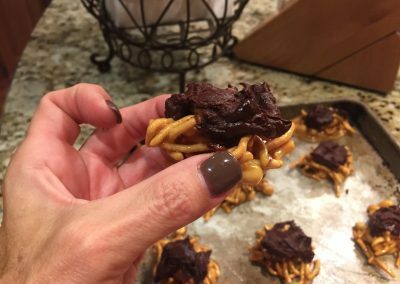 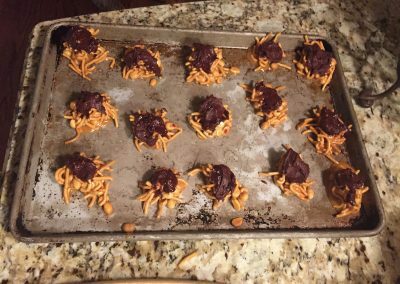 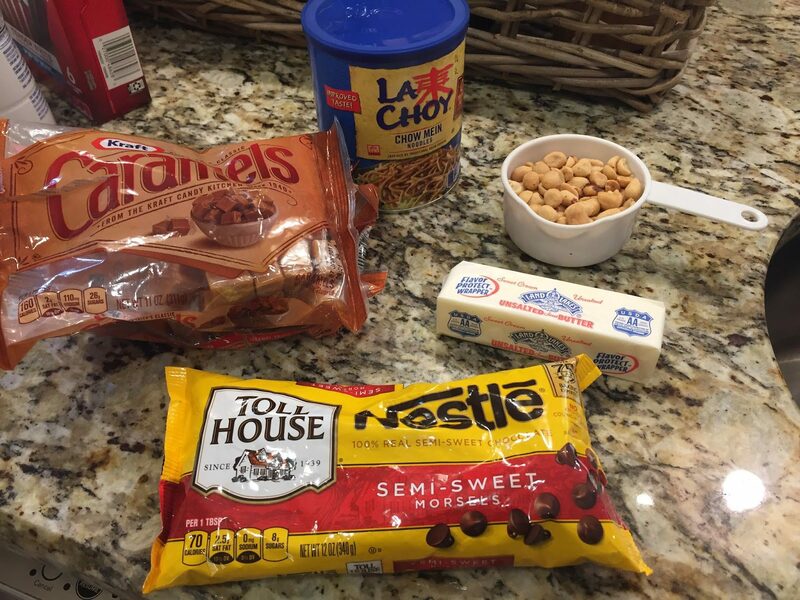 I’ve been making these since I was in high school – yes, they’re THAT good…. 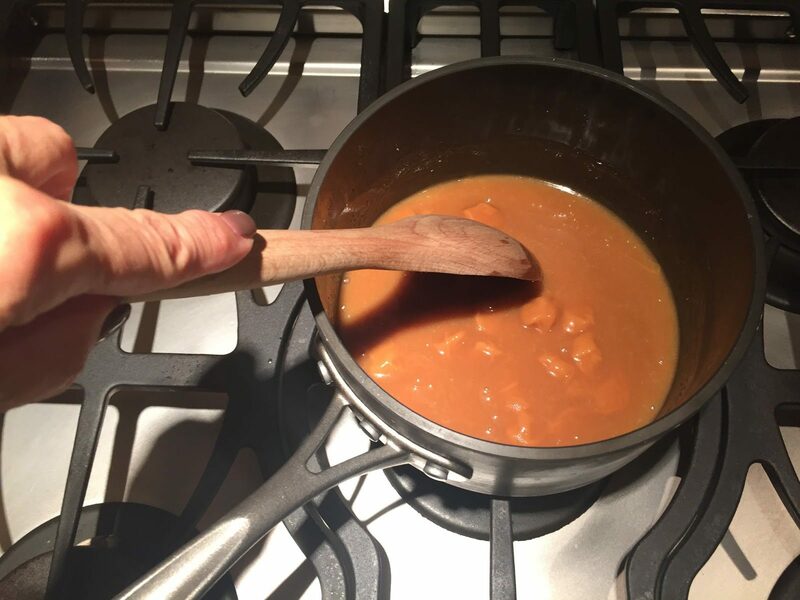 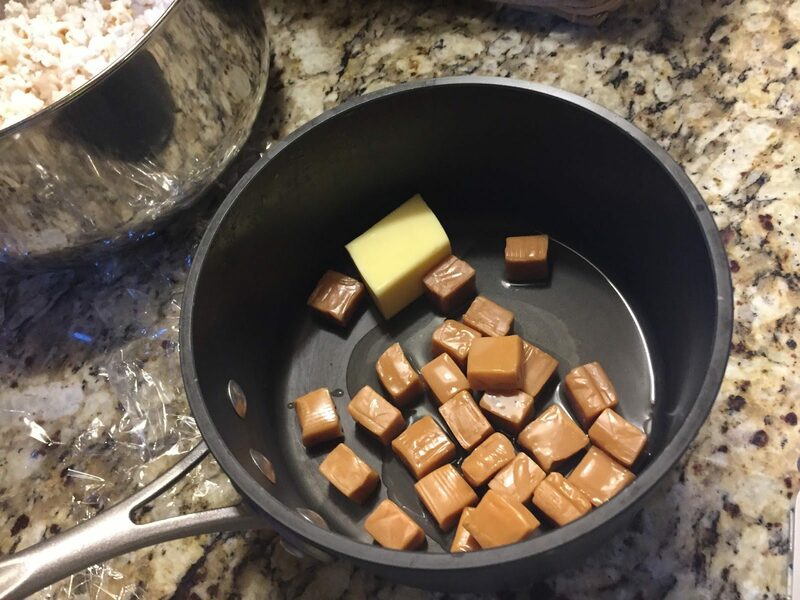 Melt caramels with butter and water in a saucepan over low heat. 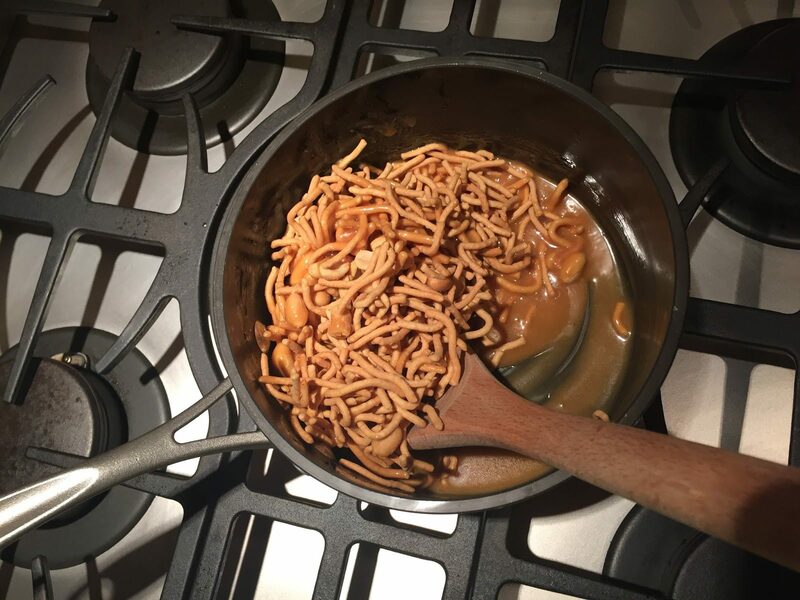 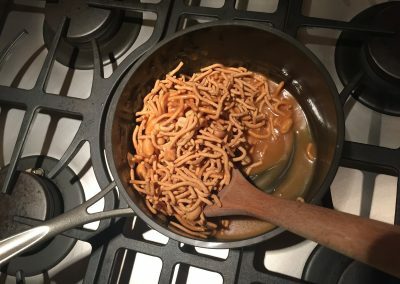 Add noodles and peanuts, and toss until well coated. 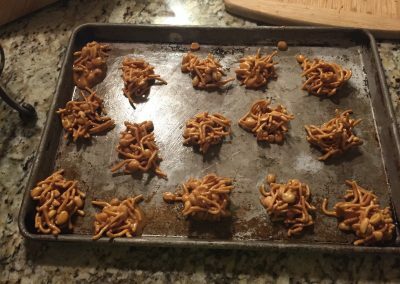 Drop by rounded spoonfuls onto greased cookie sheet. Then melt chocolate pieces with water in a saucepan over low heat. 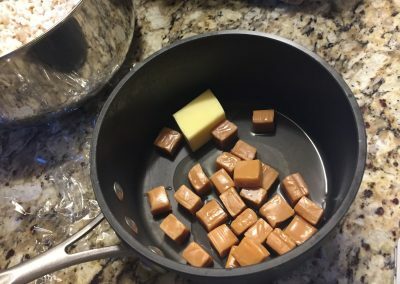 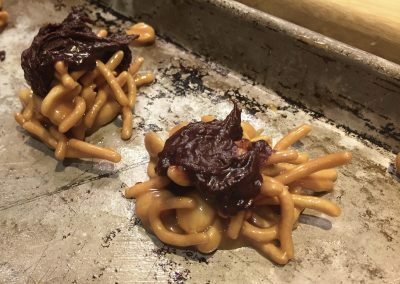 Drop a dollop of melted chocolate on each caramel chew. 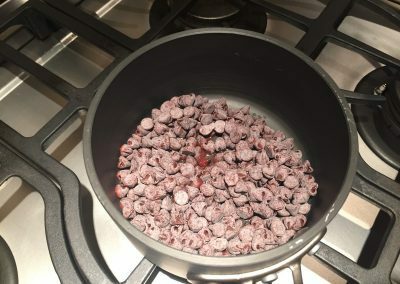 Chill these until firm. 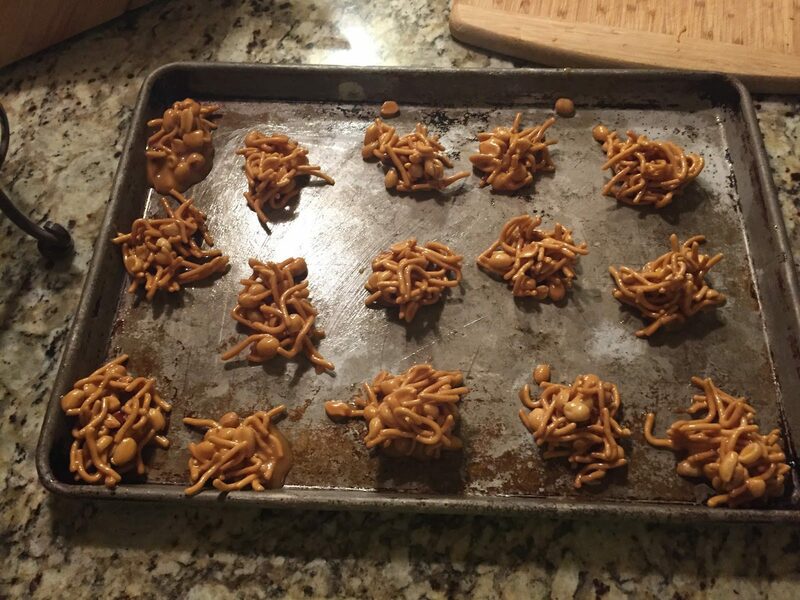 Makes about 18-24 chews.